Sandra Day O’Connor has been a staple in this country for many, many years. Serving as the very first woman to ever serve on the Supreme Court, O’Connor has truly left an incredible legacy. Some believe that without the help of former president Ronald Reagan, O’Connor would never have made it to the Supreme Court, and that it was only because he stated that he would pledge to appoint the first ever woman judge to the Supreme Court did she make it. However, many believe otherwise, as her life history had shown her to be an extremely fair, smart, and steadfast judge. While O’Connor had always been pinned as a moderate republican, many staunch republicans had initially opposed her nomination. They had believed that, as a woman, she would uphold Roe v. Wade and not be willing to challenge or overturn the ruling. Others who opposed her nomination claimed that appointing a female to the Supreme Court actually went against republican ideologies, and questioned Reagan’s dedication to the party. 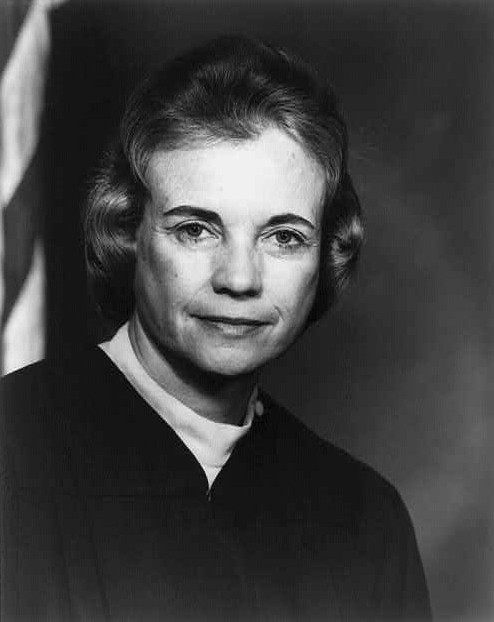 Luckily, Sandra Day O’Connor was confirmed as a judge on the Supreme Court, and had always stayed true to her beliefs while she was in her position. It is said that O’Connor would avoid generalizing her comments and decisions regarding various cases, and would always explain these things with great care and in the utmost depth. As the Supreme Court began to change in the later years of her career, she became a “swing vote,” siding with both progressive and conservative cases. This was also a time where there tended to be more conservative judges than liberal ones. While tenure for Supreme Court appointees last a lifetime, O’Connor announced her retirement in 2005. She had been battling cancer, and her husband’s health was declining. His Alzheimer’s had become too much to handle while simultaneously serving as a Supreme Court judge. She has really left a very impressive legacy for aspiring law students, and especially for females. In 2006, Arizona State University had renamed their law school to the “Sandra Day O’Connor College of Law” in her honor.